Some things in life are scarier than the threat of killer clowns and bloodthirsty demons like getting separated from your friend at a big party or club. Inevitably, panic sets in. There are so many people everywhere, not to mention identities are concealed under masks and costumes fending off a herd of flesh-eating zombies seems more practical than spotting your bestie. This scenario has happened to us numerous times now (losing our bestie in a crowd, not killing zombies) so we decided to do something about it. Introducing...*drumroll please*... the two-person costume. It isn't the latest trend or a new invention, it's just a classic idea that needed the attention of a new generation. 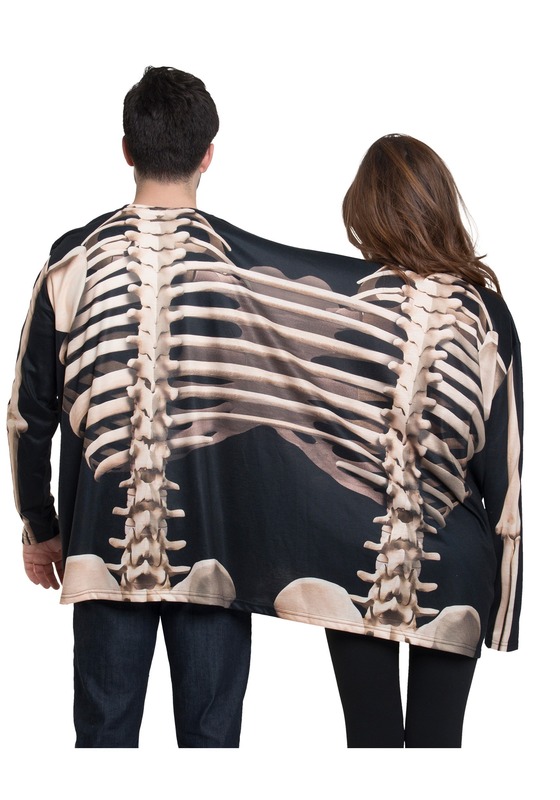 A trendy and more convenient take on a two-person horse costume, the Skeleton two-person long sleeve allows friends to stay comfy while sticking side by side. Brave the costumed crowd and infiltrate a packed dance floor without running the risk of losing one another for the rest of the night. 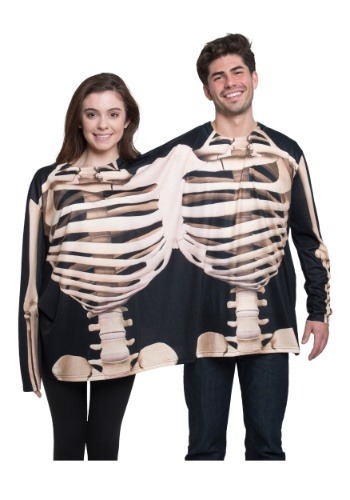 It's the only skeleton costume available that takes the saying, "joined at the hip" literally, giving the tee a unique edge. Any soul who dares coming between you and your bestie might just find themselves in a scary situation. This costume makes selfie-taking with a pal or significant other as easy as possible since it squeezes you two close. It also can be paired with a favorite (and most comfortable) pair of pants, which is always a nice costume perk.